IT'S DONE!!!!!!!!!!!!! for the most part. There are a few details to work out. The marque and bezzle need to be finished. I'm waiting on the coin door. The t-molding for the control panel isn't in yet and I still haven't decided what kind of artwork to put on the sides. But it is fully functional and playable. Still didn't have time to update the page to look good, but posted more pictures. I plan on wiring up the control panel and installing the speakers, speaker panel, monitor base, and front door. Also mounting the control panel. Also here is a link to the site of the plans I'm using. 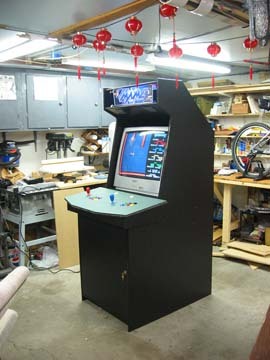 Lusid's Arcade Flashback Also its being built at the same place as the world famouspoker table. 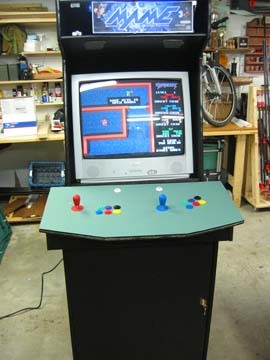 Well, the page isn't exactly up but here are a few pictures of the beginnings of my arcade cabinet.